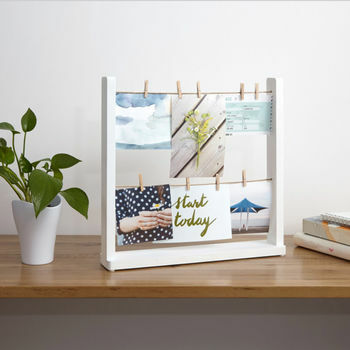 A modern white desk 'peg and display' hanging photo frame. 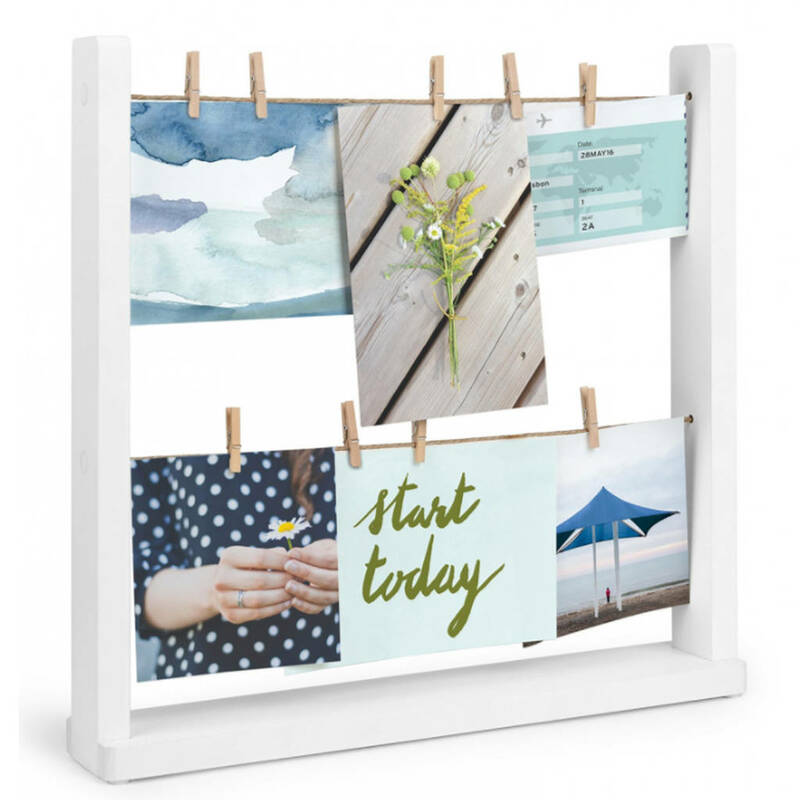 A contemporary photo frame which consists of two rows of twine and supplied with 9 mini clothes pegs, to clip and display your favourite photographs, cards, memos, special keepsake tickets and artwork. Suitable for the desk, table and mantle peice, this modern and casual desk top multi hanging peg frame, can really add some fun and creativity to your working or living space.